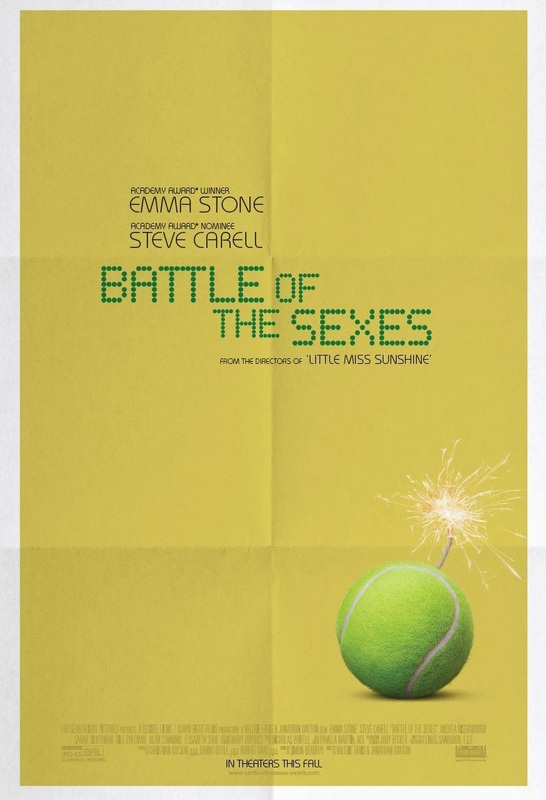 The Battle of the Sexes trailer is out! Battle of the Sexes is a new movie that depicts the legendary tennis match between Billie Jean King and Bobby Riggs. The trailer was released today and it looks pretty awesome. I gotta say that I think Steve Carell NAILS Bobby. Normally I want to smooch Steve, but in this clip I wanna slug him! The trailer also teases plot lines about Billie Jean's love life. She kept her sexuality private for a very long time, as almost every professional athlete has done pretty forever. I got to meet Billie Jean King a few years ago at a luncheon. She has always been an inspiration to me so I am really looking forward to this movie. Hopefully Emma Stone's cultural baggage doesn't weight this movie down, but we'll see won't we?